Harvey was home for the afternoon so we set about making some ready for when Alyssa would be back. 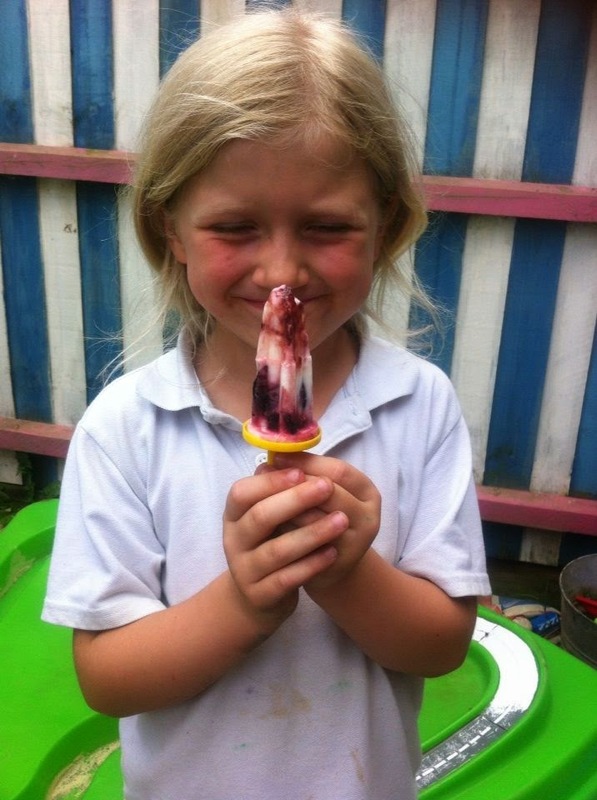 I saw on the Centre Parcs Blog the tip of "Want to experiment with different flavours? Mix Greek yoghurt with a squeeze of honey, then just add your own additional flavouring. 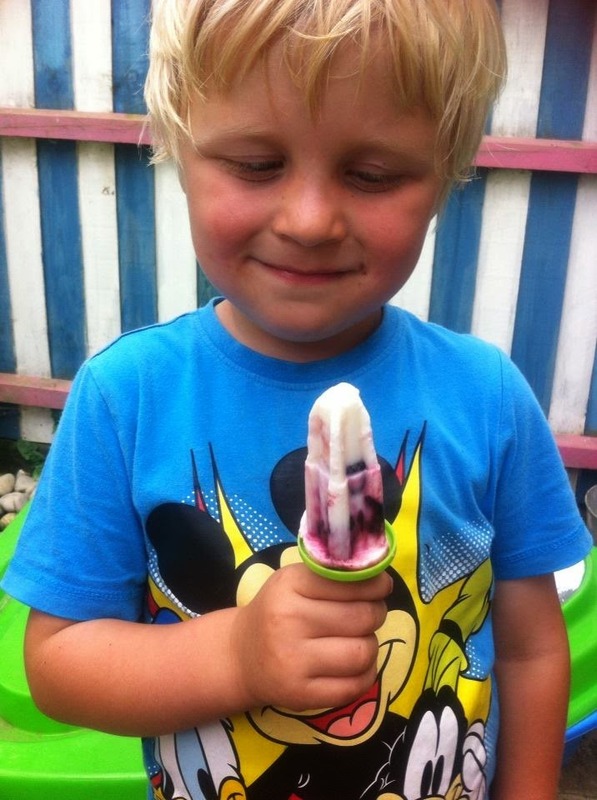 - See more at: http://blog.centerparcs.co.uk/family-blogger-july-challenge/#sthash.SLLs9vyd.dpuf "
Just the mention of yoghurt and I knew what we could use. We located the remaining yoghurt from my shopping trip disaster(see this blog post ) as it needed to be eaten and also some leftover cherries from when i served them with my un-stroppy cake . 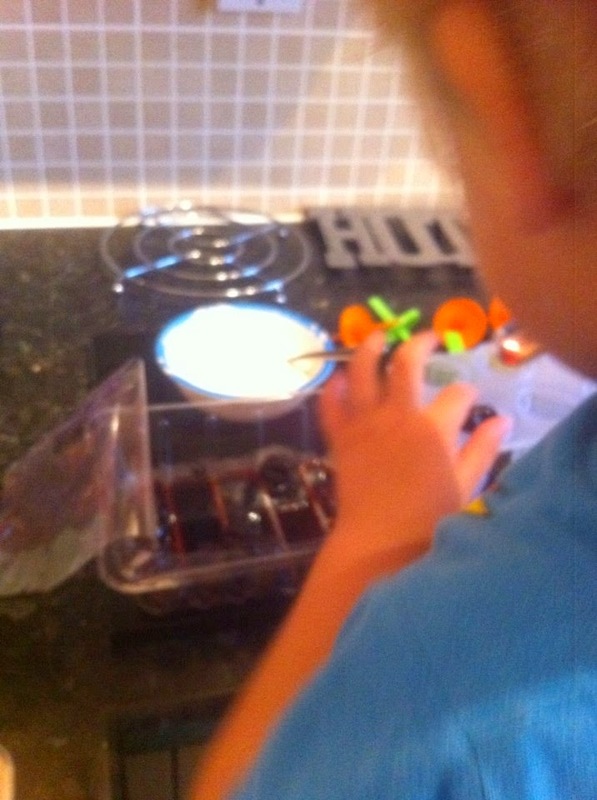 Harvey spooned the yoghurt into the moulds and then we sliced up some cherries and added those too. A dollop more yoghurt and the sticks were placed on the top. He looks quite startled in this photograph! They went straight into the freezer and there they stayed until it was ready for the taste test. It's faces like these when you know how happy they can be over something so simple as yoghurt and fruit. "could be a little bit of felt tip but mostly gravy. Yes, probably all gravy." They are absolutely delicious and were ready to eat within 3 hours. I love how the cherries have oozed their deep red colour into the yoghurt. 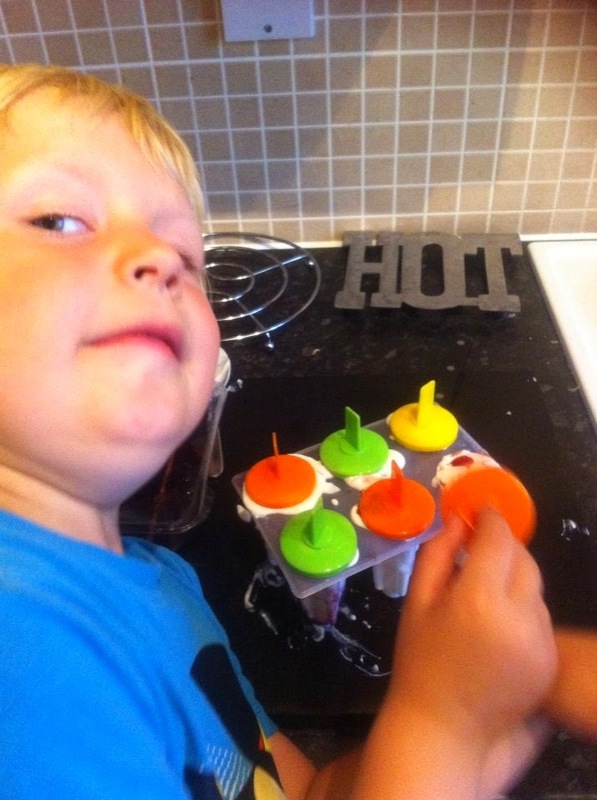 It's a great effect and what an awesome way to get children to try to eat different fruits. 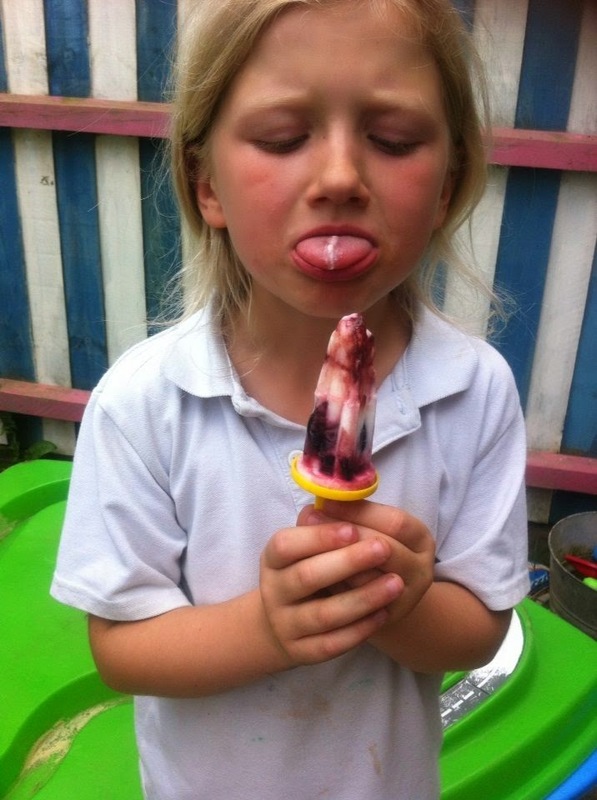 Harvey thoroughly enjoyed making his lollies and proudly told Alyssa how he had done this flavour. She is now planning her own flavour to try and has already claimed the rest of the lemon squash that's lurking in the cupboard and some of her homegrown strawberries. Sounds delicious! I'm going to make some pink lemonade and summer fruits for myself. 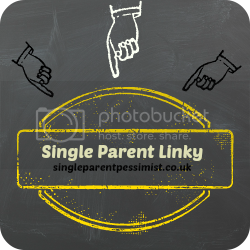 ‘This is my entry to the Center Parcs and Tots100 July challenge. If I’m chosen, I would like to visit Elveden Forest’.